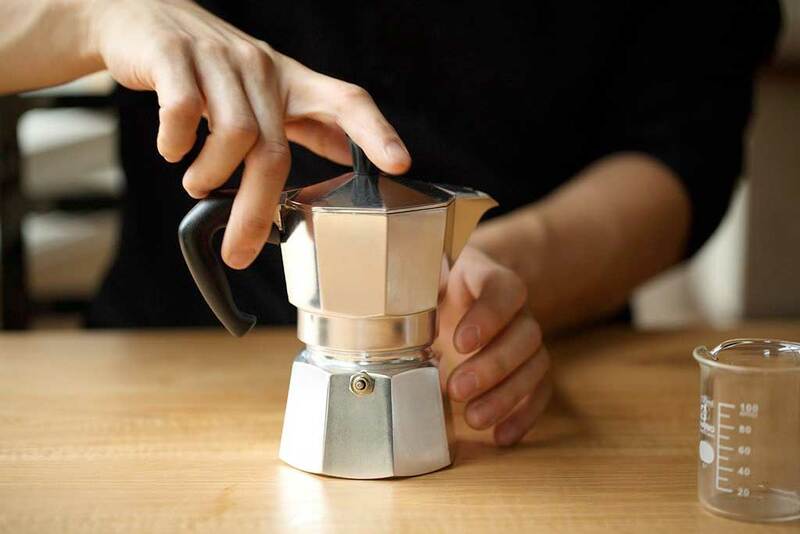 The Italian-made Moka pot, or the macchinetta, as the Italians call it, was invented by Luigi de Ponti, and he patented it for Alfonso Bialetti in 1933. The Moka pot is experiencing a resurgence lately, which is no doubt due to its ability to produce a viscous, appropriately dense espresso with no electricity or fancy equipment.This coffee brewing method is very popular because it brews a strong concentrated coffee that uses pressure during extraction. The moka pot is the choice of many coffee lovers because it’s inexpensive, easy to use, and very reliable. Boil water, and fill the bottom half of your Moka pot with water that comes fresh off the boil. Fill the pot’s filter basket with the ground coffee loosely, without packing the grounds, and give it a shake to settle the grounds evenly. Now place it into the bottom compartment. Place the pot on a stove set to low or medium heat. A gas stove is the best, but if you have an electric stove, you can use a heat diffuser to control the high temperature. Wait a couple of minutes if the water was hot. If you poured cold water, you probably have to wait up to 6-8 minutes until coffee starts flowing in the top reservoir. When the water in the bottom chamber approaches a boil, the pressure will push a stream of coffee slowly and methodically through the upper chamber. If it explodes upward, your water is too hot, if it burbles lazily, turn up the heat. Once coffee starts to flow in the top carafe and you hear a hissing, bubbling sound, take it off the heat. Your coffee is done. Pour your coffee in cups right away and enjoy!